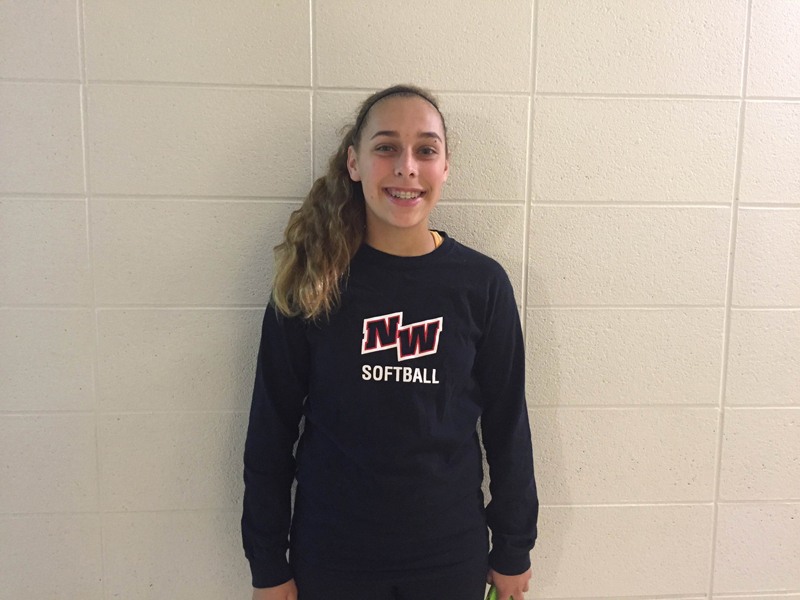 Like most freshmen, Sammie Simkins was pretty nervous starting her first here at Niles West, but unlike most freshmen, Sammie realized she had no reason to worry. “I have so many friends at Niles West and not to mention an older sister, [junior] Maddie Simkins, and all of her friends. Being nervous almost seemed unnecessary because I had so many reasons to make the transition a good and easy one,” Simkins said. Like her sisters, Simkins plans on being a three sport athlete. She is currently playing freshman volleyball and is hoping to make the basketball team and soccer team as well. “Playing sports has always been apart of my life. All three of my older sisters were high school athletes and I can’t imagine not following in their footsteps,” Simkins said. For Simkins, the hardest adjustment from middle school to high school was the size of the building. “Park View was a small school compared to Niles West. After the first couple of weeks I learned my way around but it was intimidating not knowing my way around,” Simkins said. Simkins’ attitude has definitely changed since the beginning of the year. She walks through the halls confidently and has become more used to the building and the changes that came with it. “I love Niles West now! Everyone is so nice and welcoming. Being a freshmen isn’t nearly as bad as I thought that it would be. I think the best part about high school is having all of my friends from other middle schools here. It’s nice to see them all every day opposed to only on weekends,” Simkins said. Simkins also believes that middle school has greatly prepared her for high school. “Park View didn’t take it easy on us. They pushed us day in and day out to prepare us for high school and they did a wonderful job. All of my high school teachers act and teach just like my middle school teachers did so it makes learning a lot easier, especially when in a new environment,” Simkins said. Simkins is happy to be at Niles West and ready to take on her next four years as a wolf. “I’m glad to say that I’m enjoying high school so far. I can’t wait to see what the rest of my high school career brings me,” Simkins said.